- On every valid PvP kill, you will gain 1 PvP Point. - Every 30 PvP Points can be exchanged with 1 Event Crystal. 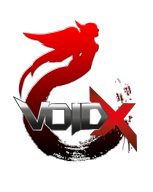 - At the end of every month Top 3 player's name will be displayed on VoidX-Bulletin board and the ranking will reset. - You are not killing an under-leveled player (works for lvl 150 characters only). - You are not killing an alt.